Get your annual dose of the Ottawa Symphony’s long-standing mission to bring you large-scale symphonic works with Mahler V! Gustav Mahler is a favourite composer of our Artistic Director, Alain Trudel, as well as a favourite for many of our patrons, who look forward to these immense works. Also featured on the program are Alexina Louie, one of Canada’s most highly regarded composers, and Sergei Prokofiev. 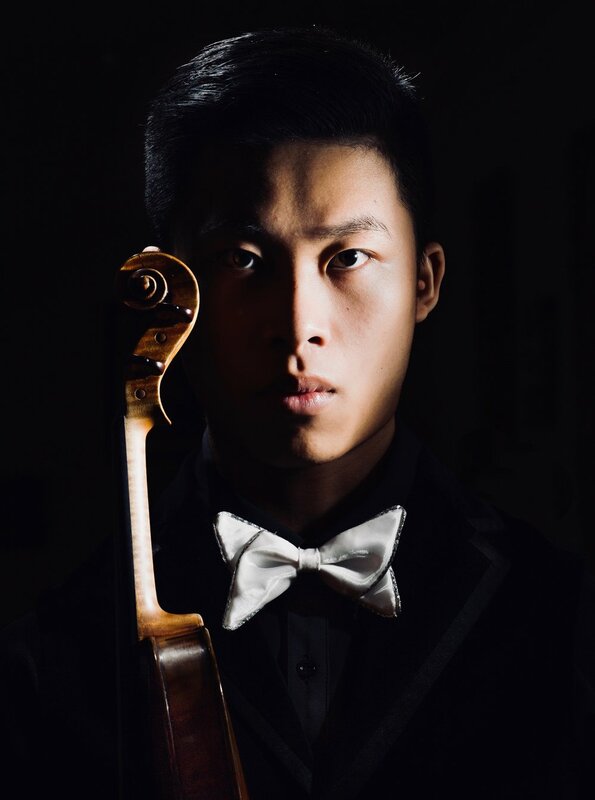 We’re so pleased to have virtuoso Kerson Leong back with us for this concert – the last time he played with us he was embarking on his career, and now he joins us as an established face on the international scene. Acclaimed by musicians and audiences alike for his commanding stage presence, magnificent tone, and musical integrity, the Canadian violinist Kerson Leong is quickly establishing himself at the forefront of his generation since gaining international recognition by winning Junior First Prize at the Menuhin Competition 2010. He has performed as soloist around the world with such ensembles as the Oslo-Philharmonien, Wiener KammerOrchester, Stavanger Symfoniorkester, Orquestra Gulbenkian, I Solisti Veneti, the Toronto Symphony Orchestra, l’Orchestre symphonique de Quebec, l’Orchestre Métropolitain, and the National Arts Centre Orchestra of Canada. He has collaborated with such conductors as Yannick Nézet-Séguin, Peter Oundjian, Christian Vasquez, Augustin Dumay, Christopher Warren-Green, Jacques Lacombe, and Lio Kuokman. Highlights of Kerson’s 2017/2018 season include his Carnegie Hall debut giving the North American premiere of John Rutter’s latest work Visions at the Stern Auditorium, debuts with the Kansai Philharmonic Orchestra, the Royal Philharmonic Orchestra and the Stockton Symphony Orchestra, as well as return performances with the Newfoundland, Sherbrooke, and Longueuil Symphony Orchestras. He is currently an Artist in Residence at the Queen Elisabeth Music Chapel in Belgium, mentored by Augustin Dumay. He has been a recipient of many awards such as the Sylva Gelber Music Foundation Award (2015-2017) and the Young Soloist Prize 2015 by the Radios Francophone Publiques. He has also received a Mentorship Award from the Lin Yao Ji Music Foundation of China for inspiring younger generations. He was named Revelation Radio-Canada 2014-2015 for classical music. Kerson performs on a 1741 Guarneri del Gesu courtesy of Canimex Inc, Drummondville (Quebec), Canada.